The main problem with attempting self-sufficiency is the almost non-existent income. OK, we sell a few eggs at the gate, but that’s…erm….chicken feed (sorry!). So, an important addition to the self-sufficient economy (such as it is!) is of course the concept of barter. Friends of ours have started bee-keeping and producing their own honey – something which to me sounds extremely labour intensive and way too complicated to get involved in personally. And so, in a jolly exchange for a brace of pheasant, we now have local home-made honey – how lovely is that? I’m particularly impressed by the professional labeling. 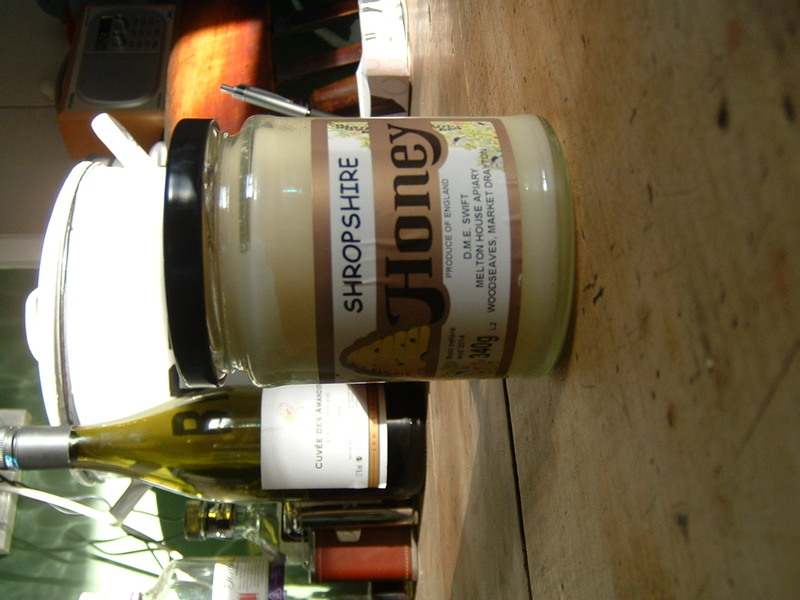 Apparently this honey in now on sale in a number of shops in the Market Drayton area.